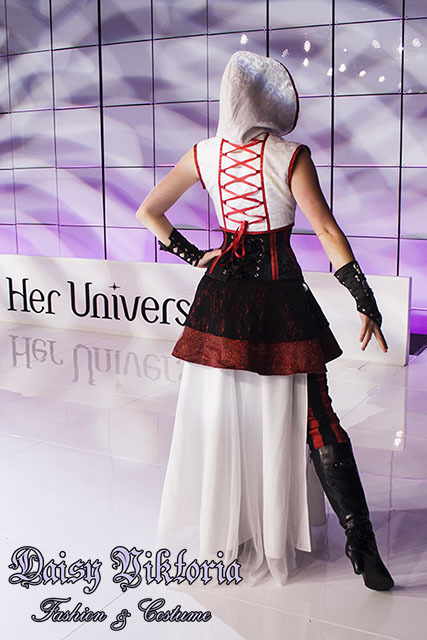 Assassin’s Elegance was my design in the Her Universe fashion show at San Diego Comic Con 2015. 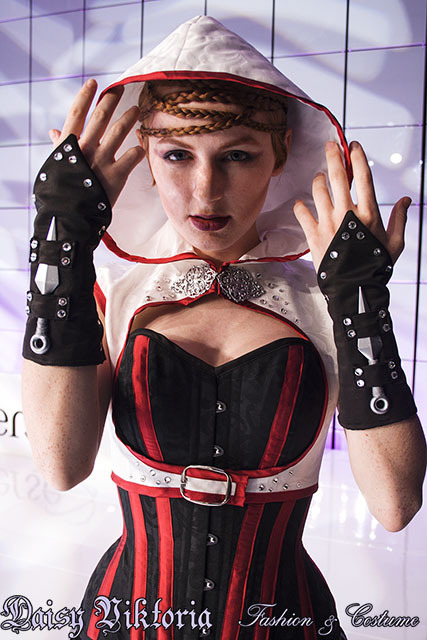 My design is inspired by the Assassin’s Creed video game series. I created an overbust corset with steel boning, striped pants, a removable skirt, gloves with fake throwing knives, and a bolero with a hood.